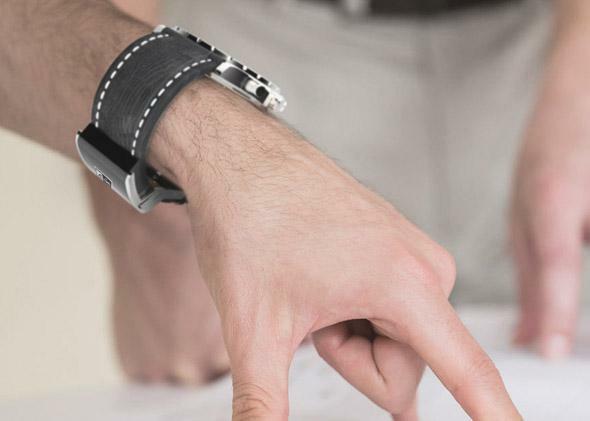 Modillian watch bands include a Bluetooth transmitter to add smart features. Can an Attractive Dumb Watch Be Upgraded Into a Smart Watch? Smartwatches are all the rage, but there are problems with them—especially the fact that they have to be a certain size to cram in computing power, a battery, and sensors. Even Pebble’s new designs didn’t completely change the feeling that smartwatches look like, well, smartwatches. But people who want to wear watches with a more classic aesthetic may still be able to get some smarts on their wrists. 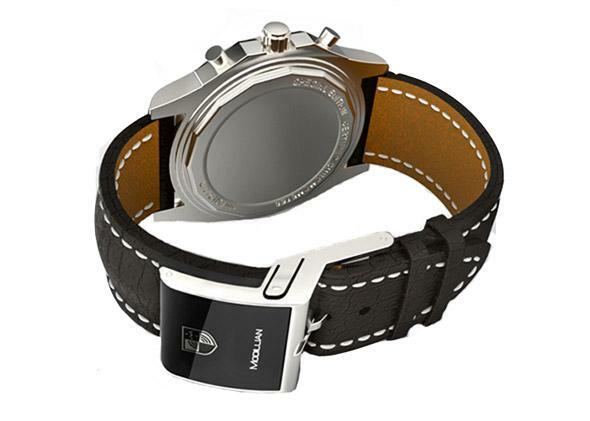 Modillian is a replacement watchband that has a Bluetooth dongle on the buckle to add some smart functions. As A Blog to Watch reports, the device doesn’t have a screen for reading texts and emails, or a camera, but it pairs with Android devices and vibrates when you get a phone call, text, or email (iOS support is on its way too). It may not control the music you’re listening to, but it keeps you from missing communications. Modillian is launching an Indiegogo campaign on June 10. The target price is $200, which is not exactly cheap for bare-bones functionality, but at least the project provides a new take on popularizing smart watches. The technology should improve eventually, and if your beloved dumb watch can inconspicuously become a smart watch, you may be tempted. Modillian bands will be made from different materials.